From early days, patterns were printed on cloth using a wooden block. Areas of the block were carved away leaving a relief design that was then colored from a tub of dye. The block was firmly pressed on the stretched cloth ground and allowed to dry, before another color was added using another carved block. This process was time consuming and required precision for the registration of the pattern, therefore it could not be used for mass production. In the 1700’s a new technique was advanced using large copper plates. The large plates were able to be engraved in great detail (much like etchings). The inked plate was then pressed onto the cloth. The large size of the plate, sometimes as large as 3 feet square, could represent an entire scene and could be repeated with good registration for lengths of cloth. Occasionally, depending upon the skill of the printer, a thin, horizontal white line can be detected where one impression would end. 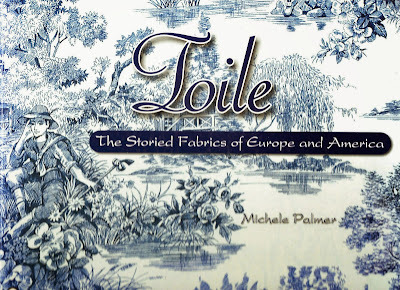 The drawback to this procedure was the difficulty in printing in more than one color and so the majority of these fabrics were printed with madder, indigo or woad dyes. 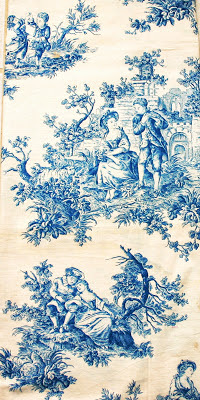 Nevertheless these are some of the finest printed fabrics produced in France and Britain,18thC monochrome pictorial prints, referred to as Toiles de Jouy, “Toile” is French for cloth and “Jouy” refers to the village near Versailles where the most famous of these cloths were produced. the factory at Jouy was established by Oberkampf in 1760. Christophe-Phillipe Oberkamph was a German-born naturalized Frenchman who, through his skills in the processes of engraving and dyeing of fabric patterns, was named "Royal Manufacturer" by the French king. 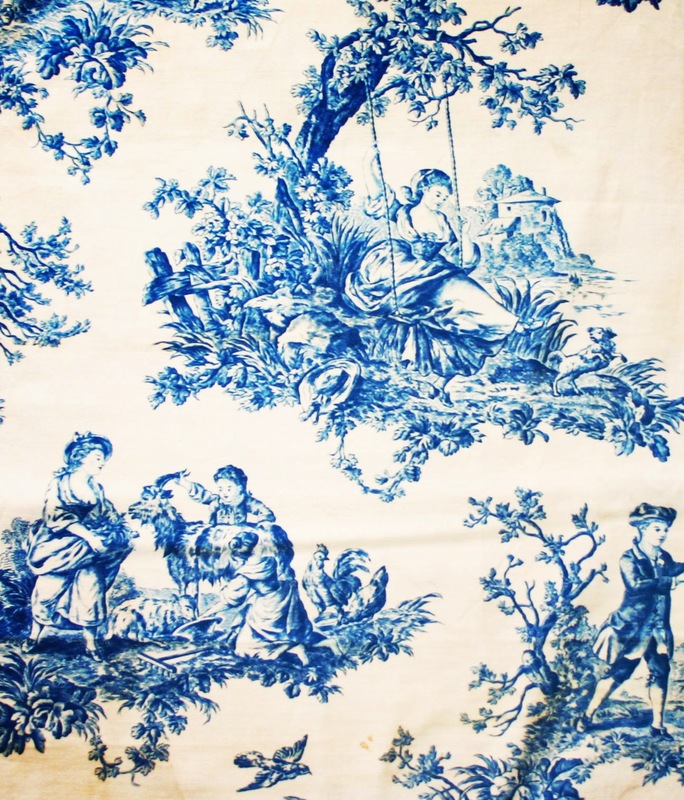 He is also known for creating a process for the manufacture of wallpaper. Throughout the years these monochromes were reproduced and adapted with small changes made to the original design. 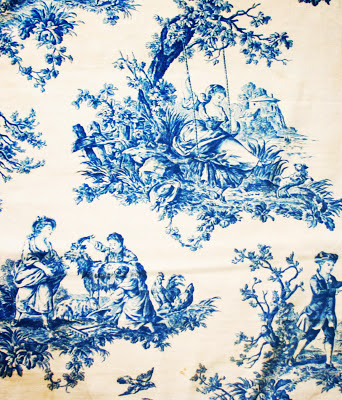 The themes of these pictorials can be classified into broad categories: pastoral, romantic, mythological and historical If one takes the motif of these categories as definition of a toile design, it becomes necessary to include printed fabrics of the 20thC also. Although at first glance these stylized textiles are not recognized as toiles (they are multicolored and were often printed on coarsely woven ground fabrics such as “barkcloth”) they do belong to this category of printed textiles. I will bring examples of these contemporary cloths for you in a future blog.